Catfish travel alone hunting for prey by themselves in the wild. They are most common in lakes and rivers of natural temperatures. NEAT FACT: The Phractocephalus hemioliopterus was first described by Bloch and Schneider in 1801 under the name Silurus hemiliopterus. In 1829 Agassiz described a fish that he named Phractocephalus bicolor. In fact they were all talking about the same fish. In 1840 the fish was renamed Phractocephalus hemiliopterus. In theory catfish are unable to use visual clues to track prey in their dark habitats so they follow recent chemical trails left behind by smaller fish like for instance guppies. 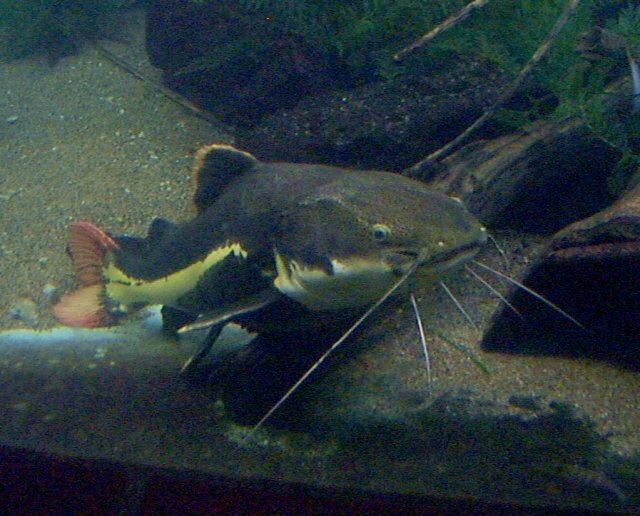 The catfish use electrical field sensors to find the prey. These are called chemoreceptors. 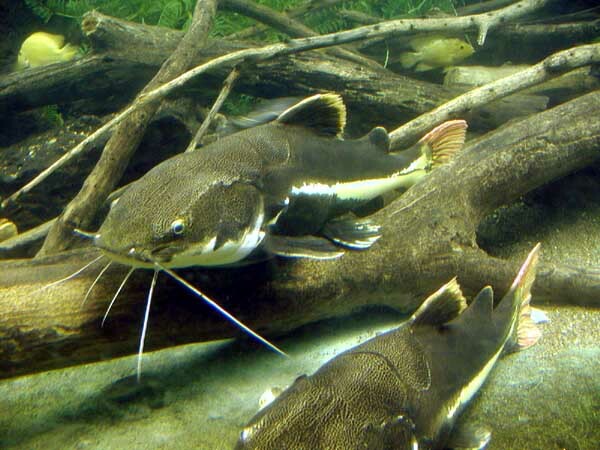 The chemoreceptors abound across the catfish's skin and act like big tongues as the catfish swim in the water.